All you have to do is give us a call. We’ll do what it takes to get you up and running in no time. BNB Tech is ready to take the hassle out of your computer issues. When you have a problem, help is just a few mouse clicks away. Through your high speed internet connection, We can log-on to your machine using our Bomgar remote service. 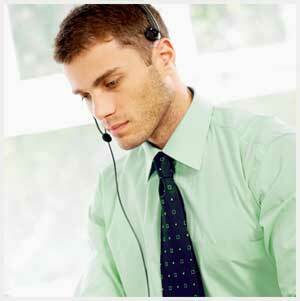 That same support agent will ask you to go to our » Remote Help Support Portal. You are directed to click on the agent's name in the support portal to allow access to your computer. You can sit back and watch as the service is performed. The support agent may need to ask you to perform certain procedures in some cases. If you do have any questions, the agent will remain on the line. When you are connected to our Remote Help Support Portal, the session is protected by an encrypted 128-bit connection and you can watch everything the support agent is doing on your screen. BNB Technology can provide remote support to Windows 95 through Vista, Mac OS X, four distributions of Linux, and even Windows Mobile and Blackberry Handhelds. BNB Technology guarantees our online services for 30 days. If there is a problem with the service we provided, we will work to remedy your problem quickly and at no additional cost if notified within that 30 day period.